Do you find the idea of data-driven marketing confusing? Are you looking for examples to understand how to use data to improve the marketing ROI? Data offers us, marketers, a tremendous opportunity to solve even the most intricate challenges. It could help gain a much deeper understanding of the target customers. Identify their needs and anticipate their next moves. Spot new trends. And above all, design strategies to drive up the marketing ROI. The problem? Many marketers still lack the knowledge to feel confident about using data in their work effectively. Luckily for you, in this post, I’m going to give you that knowledge. Specifically, I’ll show you how other brands have been using data to boost marketing ROI already. Hopefully, these examples will inspire you to take the data-driven approach in your marketing campaigns as well. Fact; demographic data such as a person’s age, gender, job, location can reveal a lot about their needs and interests. And needless to say, such insight would help deliver a more focused marketing message and drive a greater return from the campaign. 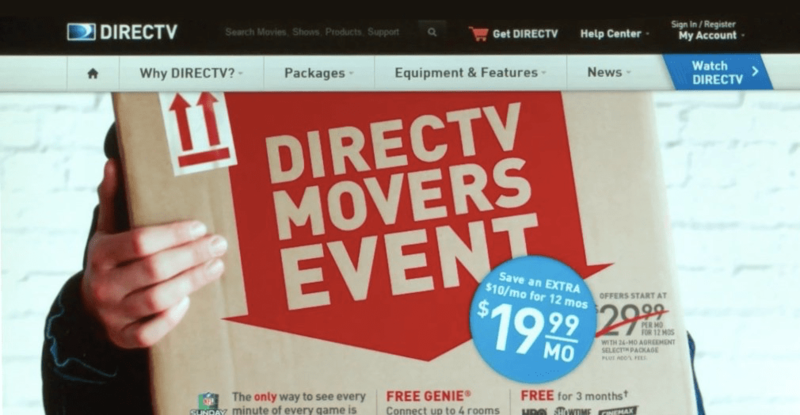 That’s exactly what DirectTV did to connect with new customers and boost their user base. Using various data points, the company identified a specific market to target – people who have recently moved to a new home. It also found out that when people move to a new location, they tend to try out a new service. And many decide to switch providers. Using USPS data, the company identified homeowners who have recently applied for a change of address. Next, they created a personalized version of the company’s homepage, tailored to those visitors. The result? The personalized, data-driven version outperformed the standard version. You may have experienced this use case already. 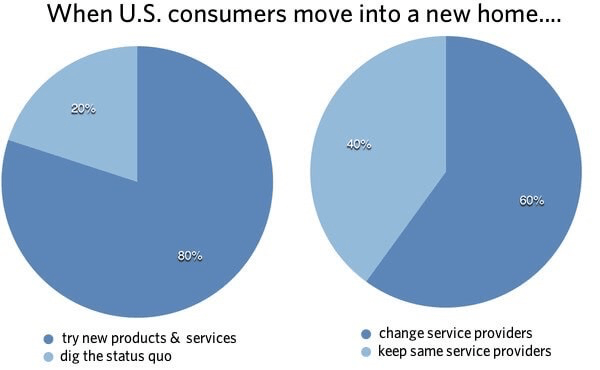 Just think about the last time you’ve signed up for a new service. However, for one reason or another, you didn’t complete the setup yet. Most likely, a couple of days later, you received an email reminding you about it. As the message reveals, I signed up for the company’s service. However, I haven’t placed the order yet. Their system flagged that behavior and sent me an automated reminder about it. Many SaaS brands use similar strategies to re-engage users. They prompt customers to complete a necessary step in setup, for example. Remind them about important features. Or help these people reach the activation point faster. And all because they use data to analyze customer behavior. And act on it accordingly. This example comes from one of our customers, a winter apparel store. Not long ago, the company faced a challenge. Since customers would use their products during a certain time of the year only, they realized that a.) they don’t have to advertise all year round, and b.) they must figure out when’s the best time to promote their products. The company assumed that customers wouldn’t be buying their products right before intending to use them. Instead, these would be carefully planned purchases, often happening far ahead of time. 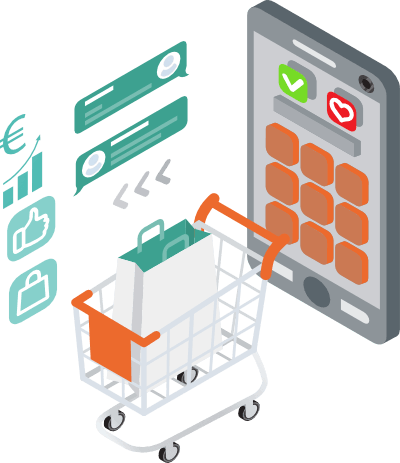 Given the rising cost of online advertising, as well as low-profit margins in eCommerce, our customer found it critical to identify that best time to advertise. And to do that, they combined two datasets. The first one included their sales information. We created a custom dashboard showing their sales data including time of purchase and a customer’s location. On a separate dashboard, we listed the weather data from those locations around the world. And the result? With this information, our client quickly realized when their customers in different locations would start planning their winter gear purchases. Based on this insight, they were able to make the most of their online advertising. But also, manage their stock levels better. And in turn, deliver greater ROI for the company. Did you know that 71% of customers prefer ads tailored to them, specifically? Or that twice as many people would click on a website banner, even if it promotes a brand that’s unknown to them? Such is the power of personalization. It helps engage customers and deliver a more relevant marketing message. Which is exactly what Very.co.uk did with their homepage banner. The company used customer information and the weather data to recommend products matching the weather in the customer’s location. 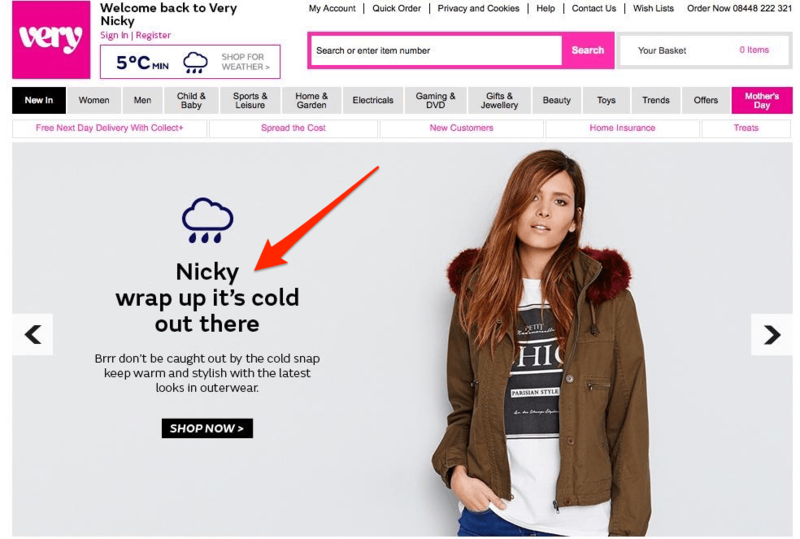 Note that apart from targeting the weather, the company also personalized the banner with the visitor’s name. As Internet Retailing reports, at the time, the company were able to display 1.2 million variations of the above page. Each of them fueled by data to make it more relevant to each customer. “We know that relevance wins in retail and right now customers are drowning in a sea of irrelevant choices. We’re making it easier for them to shop by tailoring our websites for them. This is the digital equivalent of Selfridges laying out their Oxford Street store for each shopper." Did you know that a lack of sufficient budget isn’t the biggest factor contributing to marketing failures? For many marketers, the bigger problem is not having sufficient data about the target channel. And what goes with it, they lack insights to help set the campaign for success. Take SEO, for example. Five years ago Google blocked one of the most critical information for search marketers – the keyword data. Since then, brands investing heavily in SEO had to deliver new campaigns without the historical data about phrases that drove quality traffic to their sites. Luckily, SEOs have found a way to overcome it. And one of their solutions was to turn to another data source. Paid Ads. 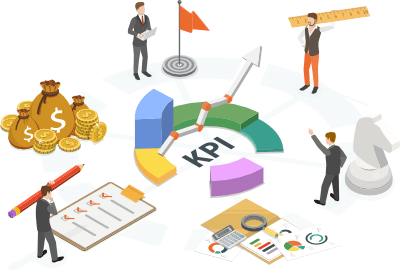 Using data from paid advertising campaigns a company ran in Google, search marketers were able to extract the necessary insight, identify the most profitable keywords, and set up more relevant SEO campaigns. Not every website visitor will buy, sign up or convert in any other way. At least not on their first visit. But that doesn’t mean they mightn’t do so in the future. You must bring them back to the site. Retargeting helps achieve both of those objectives. The strategy lets you display ads on third-party websites and target people who have visited their site before. More importantly, you can target them based on their behavior on the site. For example, you could display more information about the product to someone who visited the product page. However, if a person bounced right before signing up, you can remind them of their abandoned purchase. 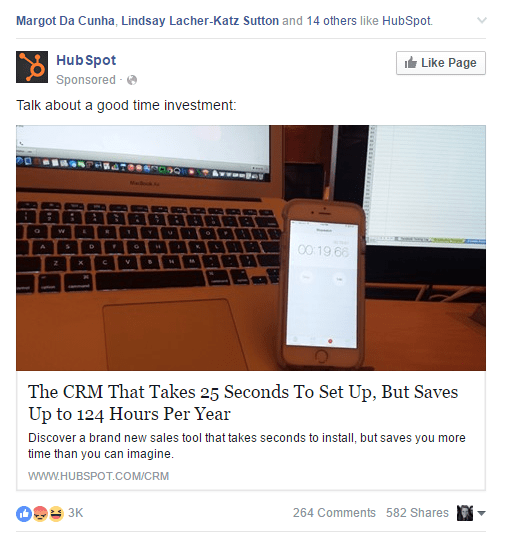 Which is exactly what Hubspot does. In this campaign, the company used visitor data to target people who didn’t sign up to their CRM product. Note the clever message of the ad. It does not boast about the product. Instead, it provides arguments to overcomes a major sales objection – The difficulty in getting started with a CRM. 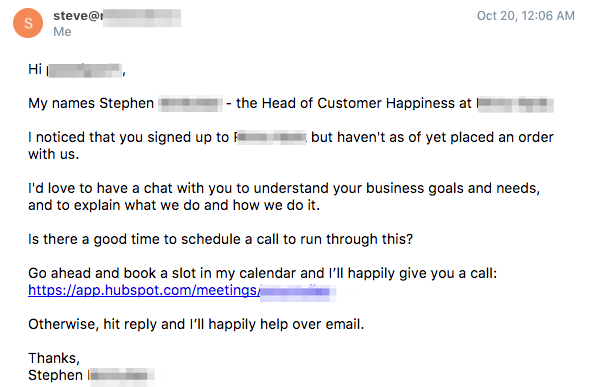 By using the visitor behavior data, Hubspot is able to target the most common reason for abandoned signups. And what’s more, do it after the person has already bounced off the site, enticing them to come back to complete the signup. The above are just some of the many ways you could use data to inform, enrich and improve your marketing campaigns. But hopefully, having finished reading this content, you have a much better idea how to implement the data-driven approach to your work. 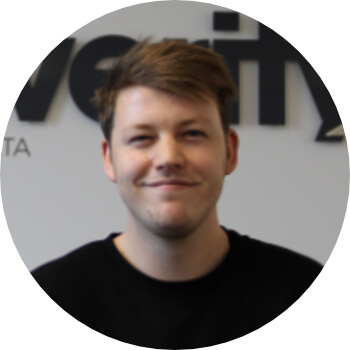 Nico is the Content Marketing Manager here at Adverity and his goal is to create compelling, creative and quality content to tell Adverity’s story. He is a passionate digital marketer, but also loves to produce music, DJ and travel. You can also catch him busting out some moves at the skatepark. SIGN ME UP FOR THE LATEST NEWS FROM THE EXCITING WORLD OF DATA, STATISTICS & REPORTING! By submitting any form on our website, you consent to allow Adverity to store and process the personal information submitted above to provide you with the content and or services requested.